Broad objective of this article is to explain value of Cloud Computing for business. Cloud computing is typically defined as a kind of computing that will depend on sharing computing resources as opposed to having local servers or personal devices to manage applications. 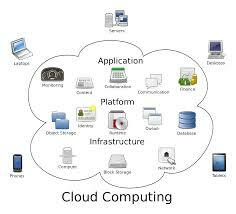 Cloud computing could be as the really advanced of this completely new technology. This technology provides the potential to bring an array of benefits and advantages to your business. “The cloud” can be explained as a platform that perform as being a remote data center via a service provider. Members can entry these files securely via many different devices with World wide web.